Category Archives for "Spiritual Awakening"
This is a gorgeous video that includes interviews with Greg Braden and Deepak Chopra. Therefore, I’m always interested in videos with a similar theme. This video not only has interviews, but also scientific evidence that meditation can influence people around us. For example, it shows the results of an experiment in which many people went into meditation in Washington, D.C. During the time the people were in meditation, the crime rate in the city plummeted. Amazing! It’s also a very well-made video. You’ll enjoy it! 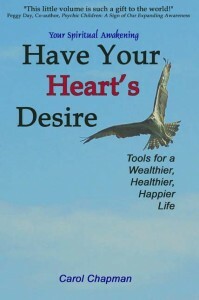 Here are some reviews of Have Your Heart’s Desire: Tools for a Wealthier, Healthier, Happier Life. More reviews can be read on Amazon.com. 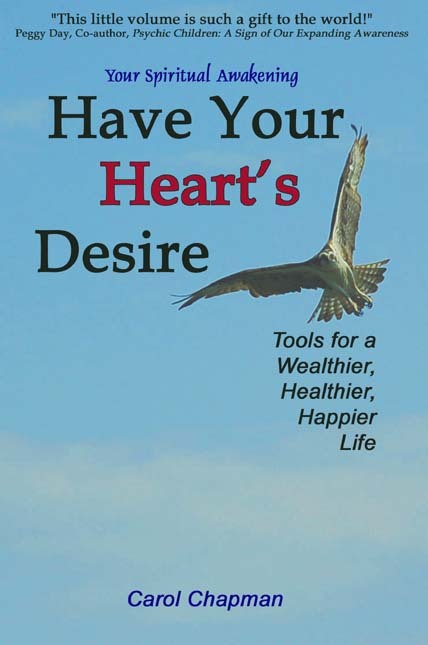 Find out more about Have Your Heart’s Desire. As I said earlier, Everett was full of wisdom and kindness. During the time I had the good fortune to visit him, I learned many wonderful things. We used to have great discussions on the meaning of life. Everett taught me to be thankful for everything. At first blush, this suggestion sounds like a Gratitude List, like those suggested by Oprah and The Secret (the popular book and movie describing the Law of Attraction). Both Oprah and The Secret recommend that you make a daily list of all that you have to be thankful for. This is wonderful, especially when you feel discouraged. It helps you to see how much there is in your life to appreciate. In addition, when those inevitable hurts and losses occur, you can remind yourself of all that you have. The Gratitude List is a great way to get you out of the trash can when the lid is wedged shut. There is nothing like being grateful for all that you have as a way of blasting that trash can lid off of your depression or your helpless feelings. According to Rhonda Byrne, author of The Secret, gratitude is the first step in the process of attracting the things, relationships, health, and happiness we all strive for. It is an important step in the process of the Law of Attraction. When you are grateful, it sets powerful forces to work in your life. When you emphasize all that you have to be thankful for, you become a person that attracts more items, relationships, and opportunities for which to be thankful. It works on the principle of like attracts like. If you are a person who mainly complains or feels sorry for yourself, you attract more reasons to complain or pity yourself. However, if you are thankful—and you will be as you keep a Gratitude List consistently—you will attract more reasons to be grateful. To my surprise, I have discovered that people I would never have suspected of keeping a Gratitude List do so. For example, I recently spent a week at a writer’s retreat with a girlfriend who is a murder mystery writer. I’ve known this woman for a number of years and always saw her as a pragmatic and conservative person rather than a person who is open to body/mind/spirit concepts. However, after a couple of days, she must have felt comfortable enough with me to mention, as she said goodnight and traipsed off to her bedroom, that she had made some wonderful progress on her writing and therefore already knew what she was going to put on her Gratitude List. She told me how much it helped her to list those things she felt grateful for before she went to bed. I thought that was good advice. I realized that I had probably stopped keeping a Gratitude List because I had been writing too long a list and had become discouraged because of the time it took me. In discussions with my friend about her Gratitude List, I also realized that in the past I had only included items in my personal life for which I felt grateful. I don’t know why, but it never occurred to me to list items from my work and business. I now try to look at the whole spectrum of my life for items to include on my Gratitude List. The Law of Attraction has been around much longer than The Secret. Everett knew it well. He taught me to take gratitude even further. He told me to be thankful for everything, even the things I did not like. In fact, he advised me to be especially thankful for the things that are as frightening as a rhinoceros fuming and getting ready to charge. In other words, for those items in your life that you fear, hate, and dread. If all you can do is wail and moan, then all you will get is something more to wail and moan about. However, as soon as you start being thankful for everything, the Universe will rush to find ways to give you more things to be thankful for. No, Everett was not kidding. To begin, he did not mean that you should not feel angry for the troubles in your life. He did not mean to be passive or to be a doormat. Your anger helps you to figure out how to protect yourself and the ones you love. Everett did not mean you should be complacent for your lousy job or your alcoholic mother. He did mean, though, that instead of spending your time feeling sorry for yourself or complaining, that if you felt grateful, you might see these difficulties as challenges instead of setbacks. You might see your problems as learning opportunities rather than disasters. In short, you might find the inner strength to better deal with your situation. I suspect that Everett gave this advice to me because, at the time, I was going through a very difficult period in my first marriage. It was ending, and I was devastated. No, I was not handling the situation very well. I had bouts of rage and spent my time complaining, blaming, and feeling sorry for myself. Everett’s advice: to be thankful for every-thing—“and, I mean everything”—was the best advice anyone ever gave me. It helped to stem my tendency to make things worse by wallowing in self pity and feeling helpless. Everett was trying to get through to me that the all-powerful subconscious operates on different rules than the conscious mind. To many it may appear that a person can control their life by fighting against the difficulties that come up. However, in matters under the control of the subconscious, you make better headway by being thankful for those very circumstances in your life that appear to cause you the most distress. In J. Everett Irion’s book, Why Do We Dream?, he explains that our souls have a greater idea of life than our conscious mind’s limited understanding of our intended purpose. By giving thanks for everything, we show our faith in our Higher Nature and its purposes for us. 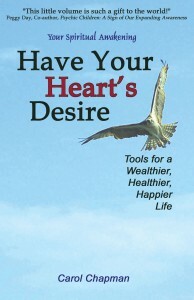 Find out more about Have Your Heart’s Desire: Tools for a Wealthier, Healthier, Happier Life. Click on the below images to see them larger. Come join me in Charlottesville, Virginia, on Saturday, December 16, from 1:00 to 4:00 p.m at Unity of Charlottesville on 2825 Hydraulic Road, Charlottesville, Virginia, $20 per person. Why did the Atlanteans choose Egypt and Yucatan to colonize? Where did Cayce say we could find evidence of Atlantis? Is there a possibility that the ancient Egyptian and Mayan gods were actually Atlaneans? Who was Ra Ta? Who was Hept-Supht, and why did he leave Atlantis for Egypt? What on earth was “the mighty, the terrible crystal” (Edgar Cayce Reading 519-1)? Over the years, I have been blessed to received feedback from many individuals about my book When We Were Gods: Insights on Atlantis, Past Lives, Angelic Beings of Light and Spiritual Awakening. Several professionals have also written reviews. I’ve included some of both below. In addition, reviews have been posted on Amazon.com as well as some on Amazon.co.uk, including one by a top 500 reviewer. “When We Were Gods tells of the amazing and true stories of one woman’s discovery of her destiny. 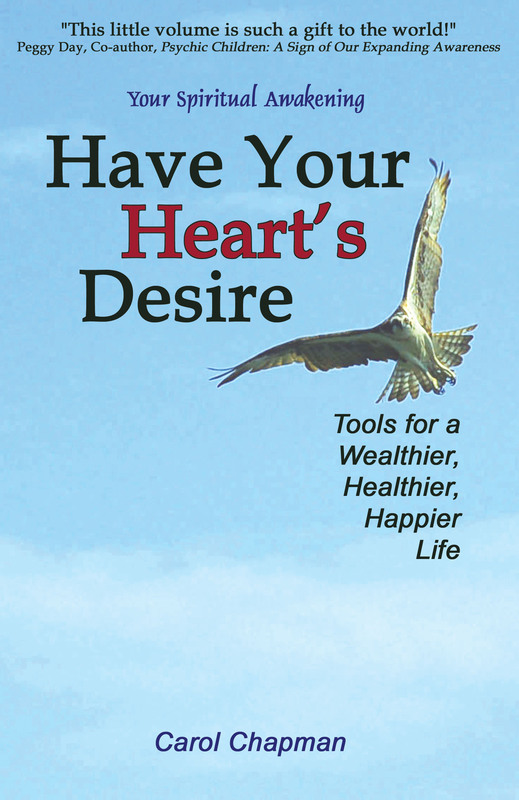 Author and spiritual seminar leader Carole Chapman went to a hypnotherapist to try to lose weight, and instead got an entry into a world of spiritual guides and powerful messages for the good of humanity in this intriguing story of awakening. “Chapman had no idea her goal of losing weight would lead her to uncover the inner secrets of lost civilizations like Atlantis, and what they might mean for future generations of Golden Ones, children who would transform the world with Atlantaen wisdom and technological savvy. Her story mirrors that of many spiritual seekers who have also reported channeling information from other worlds, especially messages meant to give hope and a new outlook to those of us locked into the fate of this world. As the author makes her discoveries through various sessions with her hypnotherapist, she reveals all the important information she is being given to pass on to others, all the while remaining just a little skeptical of her newfound connection to this lost wisdom. “The book covers much of the usual New Age territory, such as the presence of special “root races” throughout history that have transformed society and human consciousness, and she even talks about Indigo Children, a subject oft-mentioned in New Age sources. But one thing she does do that other books don’t is really get into the Jesus thing, with plenty of info about the Christ consciousness and the power of Christ that is available to all of us. “The best parts of When We Were Gods are actually the intimate conversations Chapman had with her husband and children, during which she was forced to confront her own skepticism and doubts. These conversations provide the reader with a more personal look at how the author processes the unusual events happening in her world, especially in context with how she is being viewed by those closest to her. “Dreams connect us to our own innermost consciousness. Those of us who don’t take our dreams seriously miss out on life-changing signals. Then, years later, we begin to listen to our dreams and what happens? These dreams are still the same old, stale, outdated ones that were trying to get through to us years before! If we turn away from our dreams a second time, we may never have their benefit. But if we record them patiently, soon the dreams begin to catch up to our present, become meaningful and take their place as an equal contributor to our ‘mind’ along with intellect, intelligence, intuition, and many other functions. 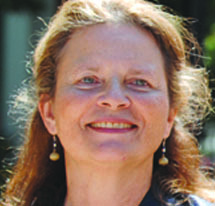 “Carol Chapman listened to her dreams. She shared them with a friend and together they expanded Carloe’s dreams to include past life memories. Her consciousness expanded outwards to encompass the stars, and inwards, to the awesome operations of her chakra-system. Then she found the ‘Golden Ones’ children of this world whose souls were aligned with God in order to bring in a New World in which there would be a thousand years of peace. Carol’s purpose in this lifetime was to awaken these Golden Ones to their destiny! 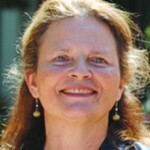 “Carol’s path paralleled her daughter’s. Clair’s nonchalance gave Carol the courage to continue. They spoke of the Fifth Root Race, the Great Pyramid of Giza and Atlantis. Carol’s timidity often got in her way and time and again she heeded other people’s help to ‘get on with it’. Along the way, however, she missed some obvious observations. About the Great Pyramid, for example, she could have easily noted that all those millions of people who have visited this mysterious ‘power plant’ have likely been unconsciously stamped with ancient Atlantean knowledge. In turn, all these people carry that knowledge about with them, waiting for it to awaken into their consciousness. “Carol asks the age-old question whether or not sexuality was the cause of the ‘fall’, and, in the process discovers the duality of light and darkness. Light was pure energy while darkness was the change of energy into corporeality. Unfortunately Carol names this descent into bodily form the work of ‘Satan’, although she realizes that the ‘sin’ or the mistake of having been drawn from a consciousness of an energetic being to that of a corporeal being was a choice she had made. She calls this choice of becoming trapped ‘disobedience’ and lack of humility. In a sense Carol comes to the same conclusion Rudolf Steiner reached a century ago and he also portrayed Satan as a suave, sophisticated tempter whose job it is to make people forget their connection to their own energetic selves, to pull them into the unbalanced trap of indulging in their physical pleasures and prowess and to forget the way out. In this sense Carol traveled the well-worn path of the cathartic rediscovery of her own light-being. In another sense, Carol had figuratively impregnated her consciousness and was reborn to the realization that there is a life beyond the physical body, something our culture takes great pains to suppress. “Carol does not examine the source of disobedience that caused her own ‘original sin.’ She does not make the connection to her own responsibility of being able to make a choice. This ability is akin to the vast difference between Christianity as we know it, and the ancient Gnostics: orthodox religion demands that we believe, while Gnosticism assures us we are ‘able to know’ God. And if the essence of God is reflected in a light beam, and or inner selves are part of that light beam, then indeed we not only are able to ‘know’ God, but carry God’s essence within each of us! So when Carol begins her with the observation that a ‘light beam knows no sorrow,’ she is actually re-initiating this Gnostic process of examining her own connection to the essence of God and trying to figure out how she lost it in the first place! “Duality causes paradoxes and Carol discovers these in her own life as well as in the life of Christ. By reconnecting with her own inner light being, something that is part of her every cell, every thought, she realizes that she is not lost in her own physical mire and sees the way home, where dualism resolved itself back into the light. And she accomplishes this process through the trance of hypnotherapy. And in that realization she discovers the history of the soul! “Having practiced past life therapy ever since my own ‘therapist’ passed into his light being, I was touched by Carol’s persistence to continue this process of self-discovery that proved to be far greater than the self. It took into the presence of illuminated beings, solved the mystery of Christ’s washing of the feet of his disciples (teaching by doing, or role-modeling). This experience leads Carol to discover unconditional love. “Some questions arose in my mind, as they did in Carol’s. Was she being self-centered, self-indulgent in putting herself as the center of the universe from which she was supposed to radiate light to the rest of us? To stop with a facile answer to that question is to fall short of the process of self-discovery. Having studied developmental psychology and the related neurobiological field that is still expanding exponentially as the fastest growing field of study, I concluded that just as every human being has to go through childhood in order to grow and develop into an adult, physically, emotionally and intellectually, we also have to go through that process spiritually and likely in several other yet unexplored areas of our existence. Spiritual development, usually repressed by culture outside such controlled environments as churches, mosques and synagogues, is usually repressed by culture because it is socially uncontrollable and unpredictable. But once an individual begins the spiritual development, it is like any other form of development. Spiritual awareness has its own infancy, grows through its own ‘childhood’ before it unfolds into maturity. Most adults do not wish to go through such seeming infantile regression! And Carol, self-conscious of the self-centeredness, wondering why she has to go through it, nevertheless persevered through it. Along the way she finds Christ’s message, including the Second Coming, deciphered. “Carol reached her next cathartic moment when she realized that spending time in the spiritual dimension comes with a price: the seeming loss of the senses, the transcending of the body. We tend to equate the loss of the senses with being insane, and it is well documented that thousands of people under psychiatric care lost their senses and sanity. Carol struggled with the seemingly vast gap between the information filtering down to her as a ‘light being’ and her everyday life, which seemed so mundane in contrast to such grand events as the Second Coming, reincarnation memories from Atlantis, and being charged with writing a book to awaken the Golden Ones! “Carole did a stint on Toronto’s Ward Island at the time city hall threatened to remove its residents. It was a great school for grass roots cooperation in the face of bureaucratic insensitivity. “Carole returns to her self-doubts again and again. 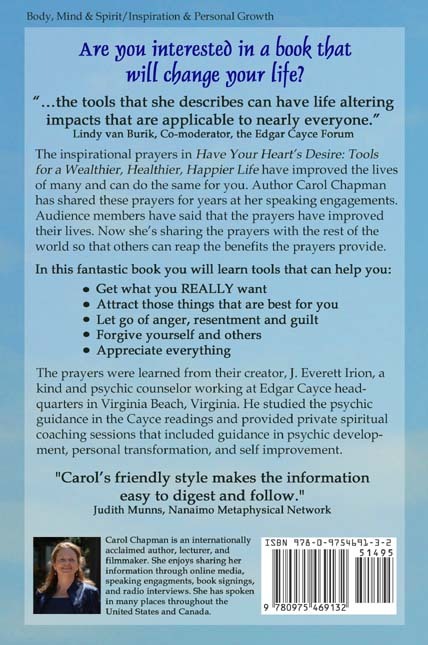 All people have doubts of one sort or another, but Carole seems to use hers for self-motivation: to return to hypnosis, to contact her inner self. 5. Golden, unchanging auras, loving people who do no harm, They will be able to return to the light beam and back into their body at will. “In the meantime, a loose form of Christ-centered Brotherhood begins to emerge from Carole’s writing. This Brotherhood is ‘etheric’ or, more precisely, part of her visionary energy. But when I began to read about the Brotherhood and Carole’s curious interaction with them, I began to ‘know’ what she was going through. I have read about this energetic Brotherhood a long time ago, and through the help of various selfless people, I encountered them in 2003 at a conference in Allegan, Michigan. Carole was there! She didn’t know what I was going through, and I didn’t know at that time the focus of her ‘work’. I was pursuing a study of the role of Goddess worship throughout history. I had spent the previous year working with the ancient Egyptian Goddess Sekhmet, the lioness Goddess of both Destruction and Healing. Carole had encountered a ‘lifetime’ when she was an Egyptian Goddess! “Then I turned to the last thousand years of history and the role of the three Marys and their relationship to the Knights Templars. It was after one of my more animated presentations in Allegan about the Knights having sailed to the Americas centuries before Columbus, that Mary Hardy, our host, asked the speakers to form a meditative circle and introduced us to the etheric Knights Templars who have accompanied her and have supported her work for years. That is where, with head bowed, these Knights also appeared to me and spoke about their ‘Brotherhood’ that transcends all organizational ties humanity has created. “As I read Carole’s Chapter 17, I shivered: I also went through a time of medically untreatable skin irritation (in 1984-85) that only cleared up when a friend recommended I explore my past lives and I found the ‘cause’ of my unresolved problem in ancient Egypt! I also had to decide to forego ‘fame’ and work closely and selflessly with smaller groups of people. When I read Carole’s dreams of knowing about a secret chamber in the Great Pyramid that contained Atlantean records, I also remembered a 1963 dream in which I ‘saw’ three other people open that chamber, exactly as Edgar Cayce had foreseen it, and I was one of the follow-up people who helped to translate the ancient texts! I too have come to the personal realization that Christ’s Second Coming is a personal matter unique to each individual. 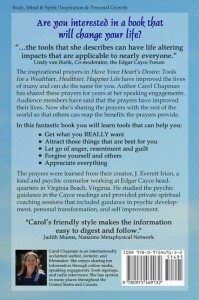 When I finished Chapter 17, I recognized that Carole was following her own divine guidance. “The rest of the book was almost like ‘deja vu’. Many years ago I struggled with Rudolf Steiner’s concept of the “Egyptian Mysteries” wherein humanity had descended into our current physical bodies in similar stages as Carole’s Five Root Races. “Some years ago I had studied the Chakra system and its relationship with the body’s endocrine system, and acknowledged that each ‘chakra’ might be a transmitter and receiver of different energies, giving us another seven levels of sentience over and above our five senses. Then, when Carolyn Myss came out with her first book, everything fell into place for me: our chakras are indeed our connection to our light bodies. Find out more about When We Were Gods. I saw young people bowed on one knee. They were frightened and in despair because our world seemed insane to them. Around them swirled a maelstrom of darkness. The evil and selfishness around them fell away as they began to arise and glow. They were the Golden Ones, the hope of the world. Their souls were aligned with God—to bring in a New World in which there would be a thousand years of peace. It was my purpose to awaken them to their destiny. Read more about When We Were Gods.